With production set to wrap this week on Escape Plan 2, producers Randall Emmett and George Furla are wasting no time in continuing this franchise. 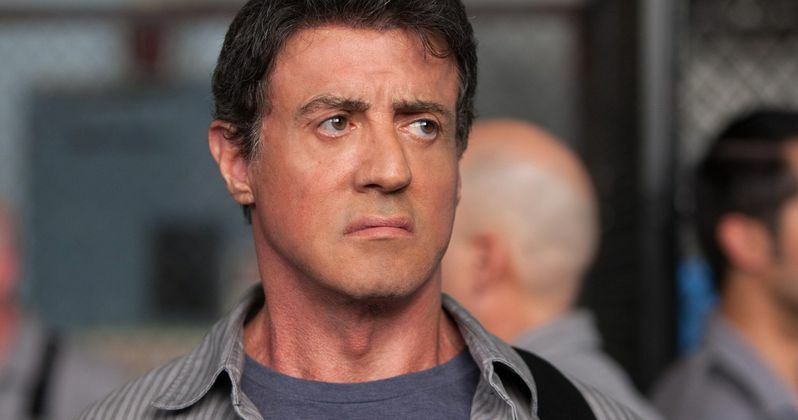 The producers' Emmett/Furla/Oasis Films company has just given the green light for Escape Plan 3, which will bring back Sylvester Stallone as Ray Breslin. Escape Plan 2 director Steven C. Miller is also being brought back to take the helm of Escape Plan 3, with Escape Plan and Escape Plan 2 writer Miles Chapman also being brought back to write the screenplay. Deadline reports that Randall Emmett and George Furla will produce through Emmett/Furla/Oasis, alongside Mark Canton and Zack Schiller. Ted Fox, Mark Stewart, Barry Brooker and Stan Wertlieb will serve as executive producers. Following the same distribution and release formula as Escape Plan 2, Lionsgate Premiere has secured domestic distribution, with Chinese-based Leomus Pictures co-producing alongside EFO and will provide distribution in China. No release date has been given for Escape Plan 2 as of yet, but with production wrapping this week, and its follow-up already being green-lit, we may get an official release date sooner rather than later. Escape Plan, which was released in 2013, teamed up action icons Sylvester Stallone and Arnold Schwarzenegger, although Arnold Schwarzenegger isn't coming back for Escape Plan 2. Now that Escape Plan 3 has been given the green light, perhaps EFO will try to lure Arnold Schwarzenegger back to reprise his role as Emil Rottmayer from the original. The first movie followed Sylvester Stallone as security expert Ray Breslin, who is framed and sent to the most impenetrable prison in the world, where he teams up with Rottmayer to plan his escape and clear his name. Despite the star power of both Sylvester Stallone and Arnold Schwarzenegger, the first Escape Plan wasn't a huge hit domestically. The action thriller took in just $25.1 million, but its overseas take of $112.1 million, $40.9 million of which came from China, helped spawn a sequel. The follow-up has been set up as a U.S.-China co-production, which is filming under a $20 million budget. While no story details have been uncovered yet, Sylvester Stallone and director Steven C. Miller have been sharing a number of images from the set, including a few with a mysterious robot that Sylvester Stallone apparently fights in this sequel. While Arnold Schwarzenegger is not returning for Escape Plan 2, Sylvester Stallone will be joined by a cast that includes Dave Bautista, Jaime King, Peter Wentz, Jesse Metcalfe, Wes Chatham and 50 Cent, who reprises his role as Ray Breslin's colleague Hush from the original. Sylvester Stallone will next be seen in a mysterious role in Guardians of the Galaxy Vol. 2, which opens in theaters May 5. Steven C. Miller most recently directed Arsenal, starring Nicolas Cage and Adrien Grenier, and he also has First Kill in post-production, which stars Bruce Willis and Hayden Christensen. Hopefully we'll find out more about Escape Plan 3 soon, as Escape Plan 2 winds down production this week.